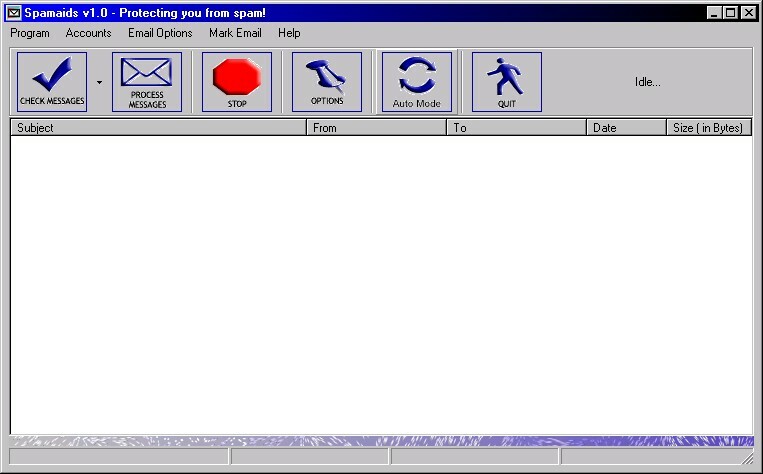 The program connects to your pop server and checks each email to see if it's spam or an address you don't want to get mail from, if it detects such an email you can either delete it, or bounce it back to the sender. Setup your own custom rule lists, a list of friends to always get email from and there is also 12 rules programmed in already that you can turn on and off. Setup as many email accounts as you want. ...... Setup as many accounts as you want, put the program into automatic mode and stick your feet up as it scans and removes spam for you. Download daily updated rules and lists to keep the program in top shape and able to stop you from all sorts of spam. Qweas is providing links to Spamaids 1.0 as a courtesy, and makes no representations regarding Spamaids or any other applications or any information related thereto. Any questions, complaints or claims regarding this application Spamaids 1.0 must be directed to the appropriate software vendor. You may click the publisher link of Spamaids on the top of this page to get more details about the vendor.